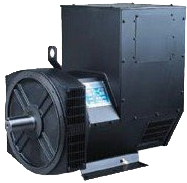 Stamford HC are manufactured for all ac generator set configurations in the range of 250 to 1130 kVA at 50Hz and 285 to 1450kVA at 60Hz. They are well known for their versatility in many applications including: Industrial, marine, offshore, commercial, construction, rental, combined heat and power, parallel operation, peak shaving, telecommunications mining and other standby or continuous applications. The MX341 is a two phase sensed Automatic Voltage Regulator and forms part of the excitation system for a brushless generator. Excitation power is derived from a three phase permanent magnet generator (PMG), to isolate the AVR control circuits from the effects of non-linear loads and to reduce radio frequency interference on the generator terminals.